2004 brought about the expansion of our massage school into a large permanent training facility in Launceston, Tasmania, Australia. We furthered our expansion into the US with courses in Philadelphia, Pennsylvania, Lawrence, Kansas and Atlanta, Georgia as well as more courses in the UK. We continue to hold courses in all major cities in Australia every 3 months. We also did our first massage courses in Dublin, Ireland. In 2005 we started to hold massage courses in Canadian cities such as Vancouver, Toronto and Calgary as well as expanding our massage therapy school activities and courses into Singapore. By 2005 we had more than 5,000 graduates worldwide. The atmosphere was relaxed and friendly ensuring you could enjoy the intense experience. I would highly recommend this course to anyone interested in massage! Overall a truly wonderful experience. 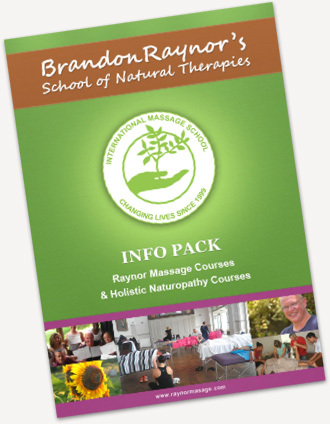 2006 has already seen our first massage course in Capetown, South Africa where our new teacher Brett Pascoe taught our Raynor Massage Certificate course to a very impressed group of students. Our massage school is also continuing expansion into Canada with courses being offered in Winnipeg and Ottawa. All other major centres continue to have several courses offered throughout the year. Projects currently being undertaken are the preparation of a Diploma of Naturopathy Correspondence course, more course locations in South Africa (Johannesburg, Durban, Elizabethtown) and the expansion of our massage school into Japan. 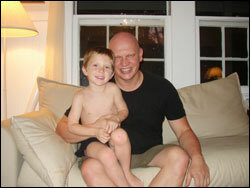 Brandon Raynor now resides in Hawaii and is hoping to set up a retreat centre to teach students some of the advanced massage techniques that he practices while his other teachers continue teaching in all other parts of the world. To see if our massage school offers massage courses in your area, click here.